Summer’s a great time to cut or restyle your hair. Often you can clear away some of those bothersome lengths for a lighter and fresher feel in the warmer months. 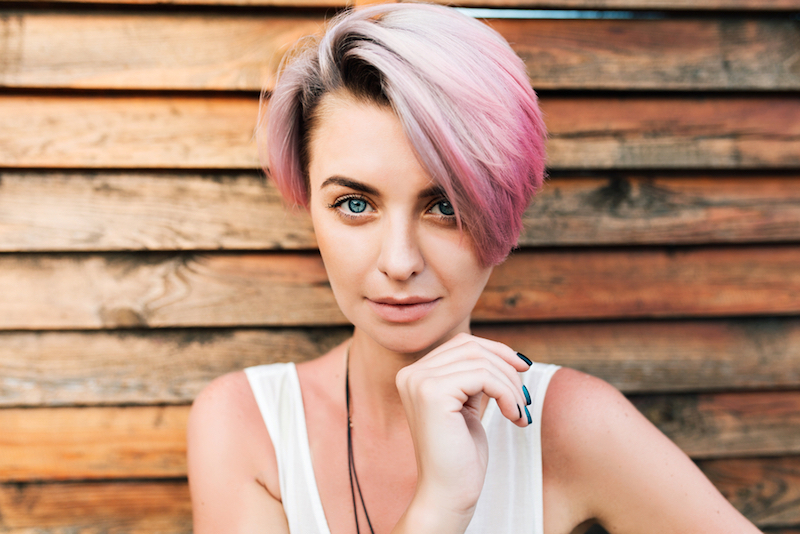 Or you might try a bright new hair color to liven up your look for summer. So, below are some of the top summer 2017 hairstyle trends. Beach waves have always been a summertime favorite. But this look takes that wavy style of summer and makes it a little more put together. The waves are more uniform and the hair is more soft. Another fun look is a bob with a blunt, angular cut. Mostly, the hair starts short in the back and is longer in the front. This is a perfect look for summer: it gets some of those pesky, warm lengths off your shoulders and back, but also is long enough to tie up. Add some texture for a laid back summer look. A huge hit in the summer is to go for your natural hair texture. It’s a fun, casual look for the warmer months. Whether you have wavy, curly or straight hair, you do you. If you’d like to hang onto your lengths for the summer, one idea is to put tons of layers into them. That will give you a more causal, choppy look for the summer. Where would summer be without the low-maintenance pixie cut? A neat twist is to add a bold color to it for the bright days of summer, like a burgundy that will catch beautifully in the sun. This look is huge among summer 2017 hairstyle trends. Another fun, casual look is the messy, layered lob. There’s plenty of gel in this look, giving the layers tons of bounce and definition. This cut keeps the hair short in the back, like above the nape of the neck. Then in the front, the hair is brushed forward in thick bangs that sweep around the side of the eye. It’s a fun, sassy look for summer. Another casual look for summer is two messy fishtail braids going down over each shoulder. It’ll look like you’re on the way to the beach, with your hair tied in braids to keep it out of the way. Nothing says summer like small, individual braids placed into the length of the hair. It’ll remind you of summers braiding your hair at sleepovers, or getting a braid done at a festival. What are some of your favorite summer 2017 hairstyle trends? Leave a comment and let us know!